Do your kids enjoy writing? Or is a writing assignment less fun than a root canal in your home? I have one who loves to write and two that don’t. For one, writing is a treat. For the others, writing has always been a chore. Last year, I started using WriteShop I with my daughter. She’s my child who loves to write. She’s got notebooks full of short stories and creative writing. She has always looked forward to our writing time during our homeschool day. For years, I made the mistake of locking writing instruction into its own block during our school day. Just last year, however, I realized that I could take what I was teaching in our instructional time and apply it to almost every subject in our homeschool. Em really enjoys the writing assignments in WriteShop I. I enjoy watching her take what she learns in our lessons and apply it to her other writing projects. Here are some examples of how you can incorporate writing into many different subjects. If you’re teaching a subject that isn’t listed here, take one of my ideas and flesh it out to fit your teaching needs. Write a biography of a famous person in history. This can be done as a formal report. For fun, it can also be done in the form of an interview written in a newspaper article. Describe a historical event as if you are there. Pretend you are in Ancient Egypt. You are watching a pharaoh being entombed. What do you see? Write a journal entry. You and your family are heading out west. Which route will you take? What is it like rinding across the country in a covered wagon? What is life like in the Wild West? Compare and contrast historical events. A family is split during the Civil War. One brother lives in the south and one in the north. Compare and contrast their feelings about slavery. What hardships do they face during the war? Choose a historical event to research. Create an outline, and write an essay from the outline. Write a report. Write a report about a recent experiment, an animal habitat, a body system, or something else you’re currently studying. Write a biography about a scientist. As noted above, this can be done as a formal report. For fun, it can also be done in the form of an interview written in a newspaper article. Write a journal entry. Write as if you are a scientist making a discovery, or you could be a scientist who just discovered a new animal. Maybe you’re an astronaut traveling to a distant planet. Describe your journey. Write a letter to the editor. Your letter could be about a controversial scientific topic or a recent scientific discovery. Check a local newspaper to see what topics are trending. Write step-by-step instructions. Tell how to make a weather station. Get creative. You’re a piece of food traveling through the body. You’re a body with no bones. What is life like for you? Pretend you are your favorite animal. Write a day-in-the-life story. Write a letter to your favorite character. Share your thoughts on their role in the story. Tell them what you think they should do next, or tell them what you think they should have done in the story. Describe a scene through the eyes of a character in a book. Choose a character that is not the main character. Would a bystander see the scene differently? Write an alternate ending to a chapter or book. Interview a character in the story. Write about what motivates them to do the things they do. What are their innermost thoughts? Try to imagine things that happened ‘before’ the story takes place. Describe a scene from a different character’s point of view. For example, Make Way for Ducklings, write from the crossing guard’s point of view. After reading, Alice in Wonderland, write what Cheshire Cat does every time he disappears. Compare and contrast the antagonist and protagonist. Write a biography about the artist or composter. Be sure to include information about who/what inspired their art and/or music. Create a journal entry. Write about what the musician or artist was thinking when they were creating the piece you’re studying. Describe your feelings. How does the artwork or music make you feel? Write a report. Write about the time period or the music/art era you’re studying. Describe your own art work. What inspired your work? What does it symbolize? Compare and contrast two pieces of music or art. Choose two from the same artist/composer to compare and contrast. Or, choose two from different artists/composers in the same era. Write a letter. Write a letter describing your thoughts about a piece of music or art. These are all just examples of how to incorporate writing across the curriculum. Tailor these suggestions to fit your writer’s strengths or to strengthen a weak point. Take a look at your what your student has been working on in their writing curriculum. How can you take that concept, and apply it to a writing assignment in science or history? Look for ways to organically add a writing assignment to your current studies instead of locking writing into a scheduled “writing block” in your homeschool. 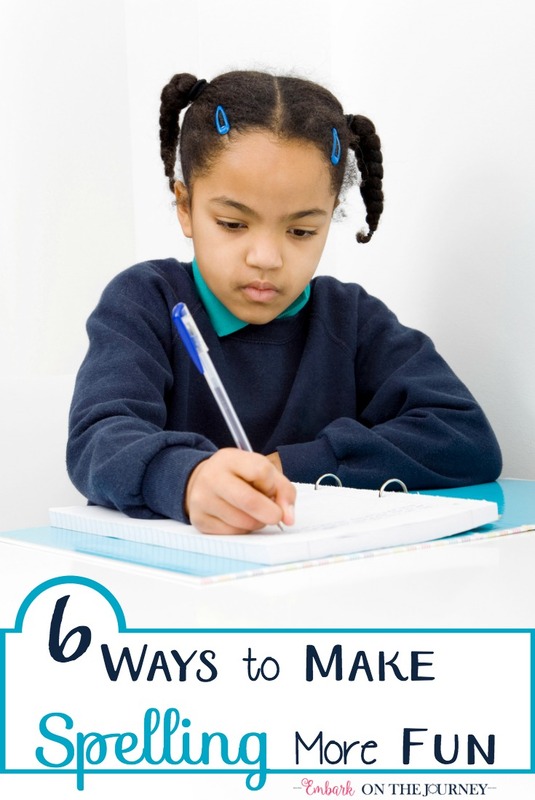 What tips do you have for incorporating writing across various subjects in your homeschool? I have three boys that HATE to write; but I am loving these ideas. Pinned for inspiration! Thank you. We are going to encourage our son to do more creative writing this year. These are great ideas that I can do with him. Great ideas! I get bogged down and forget all the different ways to mix writing up. I’m pinning this to save in our homeschool! These are fantastic ideas and they mimic “real life” — how many times to writing skills make a difference in ANYTHING we do, whether it’s a “formal paper/article/post” or not? I am reading Stuart Scott’s book now – he was a sportscaster ….. he was saying how, early in his career, it became apparent that one of the most critical skills was writing ……. not the part where people see you being a “personality” on screen. He’s so right!